Regular vacuuming alone may help to reduce the allergens in your carpets and fabrics but dust mites, mould spores, pet dander, cockroaches & pollen are all allergens that can make life unbearable! Chem-Dry Austyle offers anti-allergen treatments that can assist in the management of potential allergens to help you make your home healthier. – Chem-Dry’s Sanitiser helps to reduce bacterial growth. – Chem-Dry’s Deodoriser provides a concentrated fragrance to mask strong odours and has built in soil resistance to help keep carpets clean! 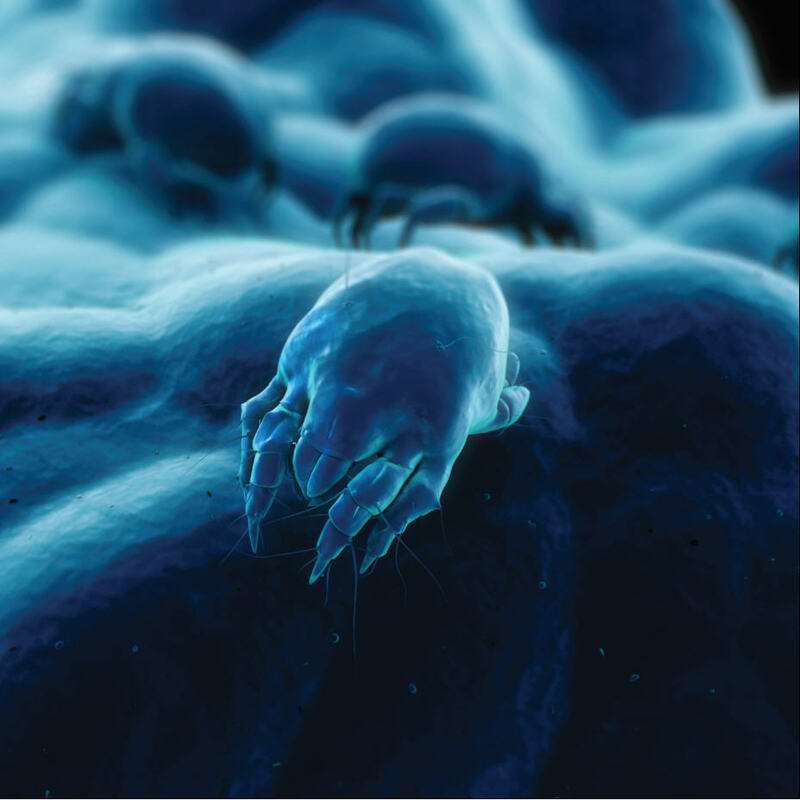 – Chem-Dry’s Dust Mite Anti Allergen is a water based solution proven to be effective in neutralising the protein allergens created by dust mites.